Because of non-disclosure agreements, you likely won’t hear the stories of the multi-million dollar separation packages being paid to employees in both the private and public sectors. But the stories from employers who’ve been taken to the Industrial Disputes Tribunal (IDT) are anything but fairy tales. They complain that the Tribunal views their role far too narrowly and are concerned almost exclusively with whether certain procedures were followed, rather than whether justice has been done. And they have created a system so costly and uncertain that not even profitable government agencies are prepared to appear before them. The following are true stories. Carlene Spencer, a lab technologist at Utech, was dismissed for unauthorized absence from work. There was no complaint that the university didn’t afford due process or breached any procedural rules. At the IDT, Ms Spencer tendered into evidence medical certificates from a doctor she claimed she visited in Portmore, which were later revealed to be forgeries. She had been in New York at the time. Even after becoming aware of her dishonesty, the IDT defended its decision to compensate and reinstate her all the way to the Privy Council. The message that sent to employers was that no matter how much you build your case on the foundation of truth, the IDT might still blow it down. Then there’s the dispute between Juici Patties and Ricardo Nation. Mr Nation was caught on camera making off with 2 bags of the Company’s ice. He was summarily dismissed for theft, without being afforded a formal disciplinary hearing (they merely convened a meeting to hear his side). The IDT found that he had, in fact, taken company property without authorisation, but having not been afforded a disciplinary hearing, his dismissal was unjustifiable. He was rewarded by the Tribunal with a cool 6 months’ salary. Trade unionists and the Ministry of Labour will say that employers “simply” need to follow the procedure set out in the Labour Relations Code. The so-called procedure in the Code is a total of 4 sentences, none of which makes mention of a disciplinary hearing, let alone a trial before a panel of judges, with lawyers on both sides, that drags on for months. It simply says that the employer is required to present written charges against the employee and give him an opportunity to state his case and be accompanied by a representative. If we’re simply following the Code, an employer should be able to request a written response to the charges, rather than convene a formal hearing. The employee’s attorney or union representative could assist with the written response. This would save enormous amounts of time and money without sacrificing any employee rights contained in the Code. So why does the IDT insist that a trial be conducted if it’s only going to ignore when an employee is found guilty? Legend has it that when the IDT was created more than 40 years ago, its primary purpose was not to settle disputes between employers and employees, but rather to protect employees. In the past decade, the Tribunal has created a set of complicated, and sometimes contradictory procedural rules that are scattered amongst dozens of their awards. A new rule, created by the IDT around 2014, is that the people presiding over internal disciplinary hearings cannot be part of the company that is laying the charges. This is clearly inconsistent with the Code that reinforces Management’s responsibility to conscientiously manage and enforce discipline within a company. More importantly, this new concept of “natural justice” is significantly more expensive and time-consuming, practically forcing small and medium-sized businesses to the negotiating table. The final story is that of Corey McDonald and RBTT Bank. The bank laid written charges and attempted 3 times to convene a disciplinary hearing. But Corey was cunning as a fox. After charges were laid against him, he accused the HR Manager of corruption. He refused to attend his hearing until his chosen representative, the President of the union (who was also a senator) returned from his vacation. Meanwhile, the bank’s international headquarters investigated the corruption allegations against the HR manager and found they were baseless and designed to avoid the disciplinary hearing. The president of the union also instructed Corey to attend the hearing along with his union delegate. After the bank dismissed him, the IDT ruled that the HR manager should not have been involved in the matter because of potential for bias, and that the bank should have postponed the hearing until Mr McDonald’s chosen representative had returned from vacation. The IDT awarded Corey $4 million. The government can’t maintain that the problems faced by the business community are figments of their imagination; not whilst public sector companies with solid grounds for dismissal are paying millions each year to avoid going before the Tribunal. This administration has obviously stared in the face of the IDT and seen what big teeth it has. 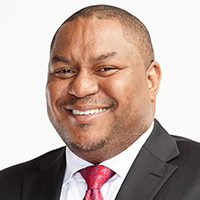 Gavin Goffe is a Partner at Myers, Fletcher and Gordon, and is a member of the firm's Litigation department (Labour and Employment Law Practice Group). He may be contacted at gavin.goffe@mfg.com.jm or through the Firm's website www.myersfletcher.com . This article is for general information purposes only and does not constitute legal advice.